Jewelry is the best way to add a cherry on top of an outfit. When it comes to certain designs, I preferably like pieces that are more structured, elegantly petite and with a modern edge. In terms of gold or silver; gold suits me more during the fall/winter season while silver is more of a spring/summer trend. 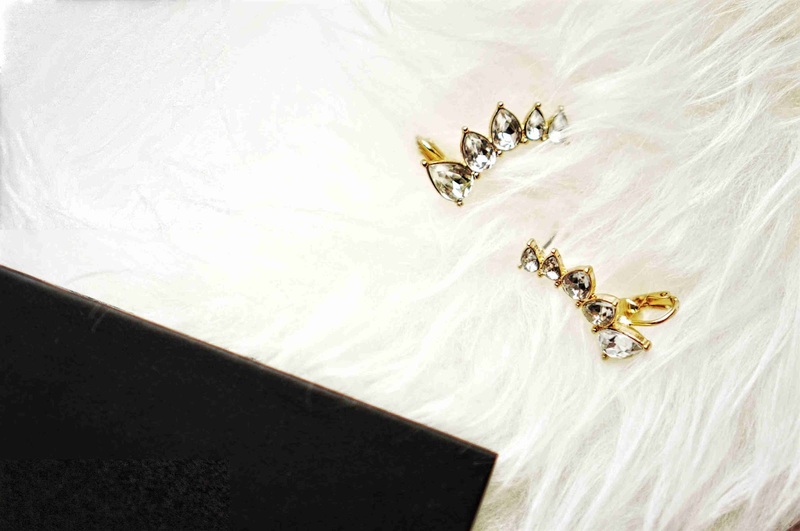 This season I have picked out a couple of my most worn and most loved pieces from Baublebar. Minimal Metal Collar: This is my first collar piece and I love the structure and the way it sits on your neckline without being too close. It's a simple way to add a touch of spark to your outfit without looking too heavy. My favourite way to pair this collar is over a blouse that's under a sweater, over a simple black t-shirt that reveals the neckline area or to edge it up with a jewelled statement necklace. 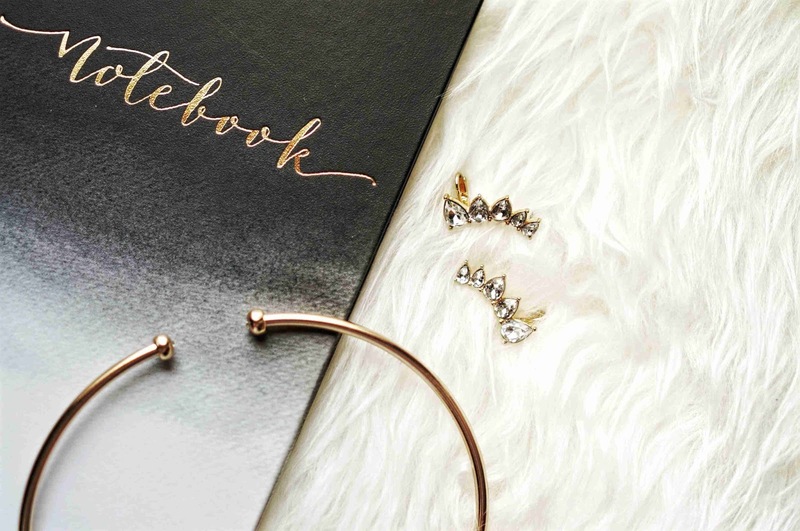 Droplet Ear Cuffs: I've been obsessed with pear shaped gems for awhile now, so I decided to get a ear cuff with this shape and wow! I've been really obsessed. It's really a simple way to make any outfit more put together. Since the earring is so statement on it's own, I usually like to have my hair up in a half up-do or a bun to peek out these beautiful gem. Please let me know in the comment below your favourite fall/winter pieces?